Hi All. This is the story of a very busy, solitary bottlenose dolphin. 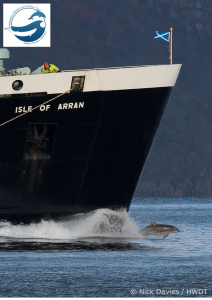 He’s a famous dolphin now and has been photographed bow-riding HUGE ferries in Scotland, following tiny dingy’s in Dorset, meeting up with mates in Ireland, chasing fast boats in Cornwall, and goodness knows what else!!! It’s good to know he’s still on his travels! People have been able to spot him easily around the UK, because of his cool dorsal fin – it has a huge chunk taken out of it. He arrived into our Cornish waters in 2014, and explored the area from as far as Portland, in Dorset, up to the Scottish Highlands!! What a traveler he is! Clet was named ‘Nick’ by people in the Isles of Scilly off Cornwall, after he first appeared in the Tresco Channel (between the islands of Tresco and Bryher) in 2014. Many people thought ‘Nick’ was first spotted on the mainland before following a lifeboat back to the Isles of Scilly, after spending three weeks in Newlyn Harbour, Cornwall. But, they found out later that the same bottlenose dolphin had previously been seen in France, where he was spotted following fishing boats along the Brittany coast in 2008, and had already been given the name ‘Clet’.Sea Watch have put together a REALLY cool map to show where and how far Clet has travelled, and loads of folk have helped by sending in their sightings of him and photos – so the map is really interactive to!!! I went on holiday to Cornwall in the half-term, and people down there are still talking about the time that Clet visited them. 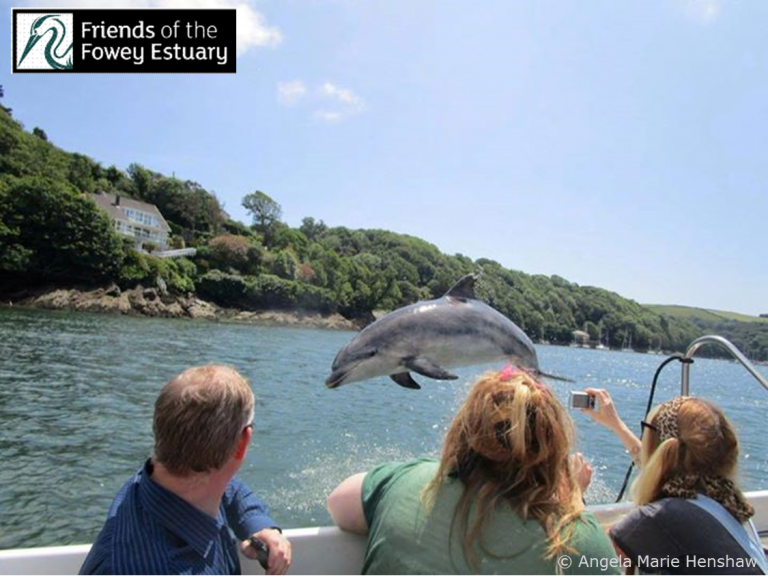 One day he even decided to swim down the river in Fowey, to say hi to all the people who live there! What a friendly dolphin. To see the map and more cool photos click here!